With segment topping highway gas mileage, the redesigned 2010 Chevy Equinox goes to battle in the crowded field of five-passenger crossovers. A car-like and quiet ride along with a roomy and smartly-designed interior makes the 2010 Equinox a worthy contender for families swapping out of conventional SUVs. The 2010 Chevy Equinox is available in both front-wheel (FWD) and all-wheel-drive (AWD) configurations, and can be fitted with a 2.4-liter inline four or 3.0-liter V6 engine. A six-speed automatic transmission is used exclusively. The four cylinder engine produces 182 horsepower (HP) and 172 foot pounds of torque, while the V6 delivers 260 HP and 222 foot pounds of torque. The EPA’s fuel economy estimates for the four-cylinder equipped FWD 2010 Chevy Equinox are 22 city / 32 highway miles per gallon (MPG). The AWD Equinox is rated at 20 city / 29 highway MPG. The Equinox delivers. We rolled up more than five hundred miles on the odometer of our Navy Blue Metallic AWD review unit and nailed the official mileage estimates with an average of 29.6 MPG on the Interstate highway and 25.4 MPG combined. Overall test period temperatures ranged from the low seventies to low eighties. Interstate highway testing temperatures ranged from the mid seventies to eighty degrees. It’s worth noting that our test vehicle had just hundreds of miles on the odometer when delivered. We’d expect the fuel efficiency to rise once the engine is run through its break in period. Our highway testing showed little impact when running the A/C (the tenth a mile difference was due to road conditions during the A/C off cycle). While the fuel-efficient inline four’s acceleration isn’t blistering, it’s adequate for the Equinox 2LT’s 3770 pound curb weight. As always, we recommend driving with the instantaneous fuel economy display active, in order to achieve the best gas mileage with a light-footed driving technique. In addition to the real-time fuel economy display, the 2010 Equinox’s Driver’s Information Center provides tire pressure data, oil life, average fuel economy, two trip meters, and fuel range, among other statistics. An 18.0 gallon gas tank provides for a chart-topping highway range. Both the I4 and V6 engines are designed to run on regular unleaded fuel. The 2010 Equinox is decidedly car-like as it delivers a comfortable and quiet ride. Whether you’re headed to a soccer tournament across the state or to the mountains a day away, the five-passenger Equinox’s ride, fuel-efficiency and interior capacities and amenities are most welcome. An 8-way power driver’s seat with lumbar support is standard on the Equinox 2LT, as is Bluetooth phone support. Leather appointed seats with heated front buckets are optional in the 2LT (and standard in the LTZ). Climate control is single-zone and seat memory is available only in the LTZ (as standard equipment). OnStar is included. When you shift the Equinox into reverse, the Equinox 2LT’s standard rearview mirror-based Rear Camera display activates, making backing chores less difficult. The eight-speaker XM Satellite-equipped Pioneer audio system includes both auxiliary and USB inputs. iPod support is quite good, with access to playlists from the dash and steering wheel controls. Our Equinox review unit was outfitted with the optional Audio System and dual screen DVD Rear Seat Entertainment package, complete with remote control and two headsets. There are power outlet at the base of the dash, inside the center console, at the back of the console (along with A/V inputs for the game console), and in the cargo area. Rear seat leg and headroom are abundant. The 60/40 split MultiFlex rear seat slides forward and backward to accommodate passengers and cargo. A power liftgate is optional on the 2LT and standard on the LTZ. The 2010 Equinox provides plenty of space for to haul your stuff home from Costco, with 63.7 cubic feet of cargo volume. All-in-all, the 2010 Chevy Equinox has the potential to shake up the crowded five-seat crossover segment with its combination of ride, quiet, comfort, and fuel economy. So, which is your recommendation: Equinox vs. Vue Hybrid? Interesting review. I have a 2010 2.4 FWD Equinox, and finally got a chance to put some miles on it yesterday. On a 150 mile highway drive (75 each way), I saw an average of 30 MPG. However, there is a net elevation change of 3500 feet each direction (lots of up-and-down hills). 25 MPG in the “uphill” direction and 35 MPG “downhill”. Been driving my new AWD Equinox and without mincing words, love it. Maybe that’s because my previous vehicle/trade-in was a 1996 GMC Sierra…pickup! Loved that, too, until it just got SO old it was one repair after another expensive repair. On the final drive to the GMC dealer to pick up MORE parts, the salesman caught me looking…at new vehicles! Tried out other small SUV’s that day but chose the reliability of Chevy, having also owned a new Camero in its second year of production, as well as a new Monte Carlo in the 80’s. This Equinox is a cute, neat little SUV…I really like it. Now for the winter driving! I don’t pay much attention to the MPG’s, but concur with the other posts. That’s what I am getting for mileage, also. I have owned 2010 2.4 FWD Equinox for about 6 months now and we DO NOT get more then 25.8 mpg ever… My wife only uses it on the highway and when asked the dealer they made a ton of excuses like leaving the ECON button always on, but none the truth so far. If you are looking to save on gas, don’t buy this SUV, buy the Malibu instead, everyone loves this car and it does get 32 MPG. @John – It all comes down to when, where, and how you drive. We were able to hit the official numbers with our AWD Equinox test unit by driving conservatively and limiting our top speed. If your highway speeds are higher than our test speeds – and if you’re heavy on the throttle – you’ll reduce fuel efficiency. MPG editor thank you for the tips, having worked as both a mechanic and as an automotive Test engineer, it would be nice to know what real life speeds that you performed your tests at. When driving on the freeway my wife drives around 73 MPH. steadily with cruse control on. Was this 32 MPG achieved at lower speeds like 55 MPH, if so this is a very dangerous speed and not really a realistic test speed for the freeway!!! Again I am here to understand more about your testing as well as the vehicle and the realistic MPG for highway driving. in my opinon it was very noisy and rode rough also was fairly gutless, that is as comparied to the eight other vehicles i have test drove recently! all these vehicles are in the same class. mitsubishi outlander, jeep patroit, subaru outback and forester, toyota rav 4, honda crv, kia sorento, sante fe! I brought a 2010 Equinox LS AWD and was told I would get good mileage after the break in period of 3000, /well I have over 3,000 miles and my mileage is sh*t, I get 22 tops on the hwy and 18 around town. I consider my self a conservative driver. I told the service manger about it and he tells me you have to get at least 20,000 miles breakin. If that ain’t a bunch of sh*t I don’t what is. My chevy days are over. with that dealer ship. 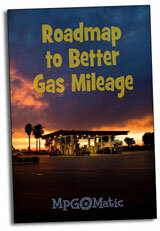 @Phil – There are a number of factors that affect your gas mileage … starting with the time of year. The Equinox is capable of solid MPGs under the right conditions. What is your typical cruising speed? How often do you change lanes? How much following distance do you allow between your car and the car in front of you? Do you use cruise control? It does take some time for break-in, but 20K is quite a lot. At your first oil change, you might want to switch to a high-quality synthetic oil.